Great getaway retreat with fully furnished cabin, 2 ponds, private and peaceful surroundings. This 4 acre property offers a 1 BR/1 BA wood-sided home with 320 SF of space, vaulted ceiling, wood interior. Woodburning stove and window AC unit provide heating and cooling; an attached utility room at back of home has tankless water heater, stackable washer/dryer and utility sink. Included in the purchase price are appliances, furniture, a zero turn mower, and generator. 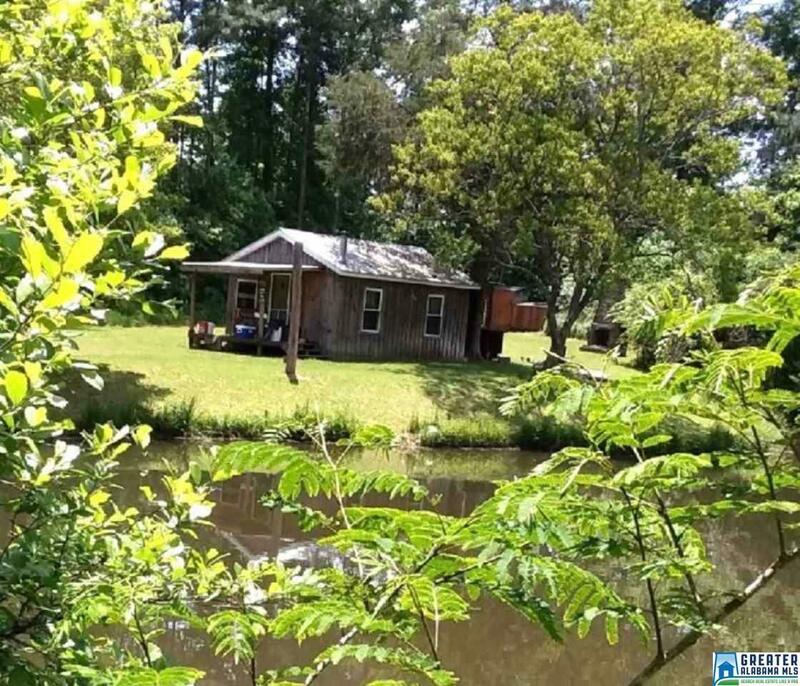 Storage building, wooded scenery, 2 scenic ponds, plenty of privacy.